Apple fans can finally turn themselves into an animated pig emoji on their very own iPhone X. The company's newest smartphone started going on sale in stores around the world Friday. 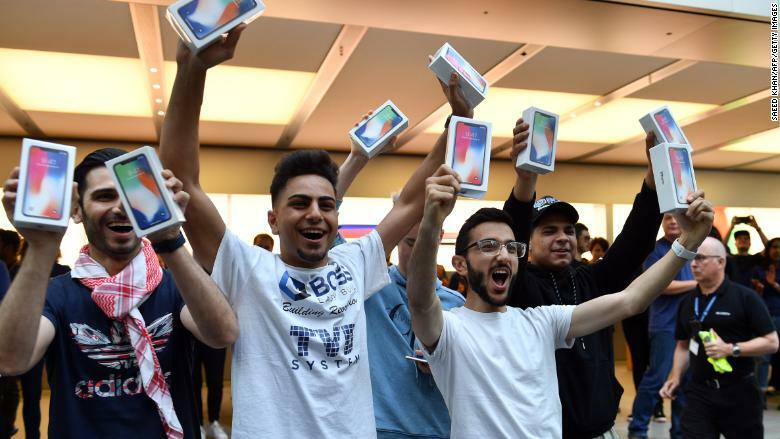 It's become a tradition for hundreds of dedicated customers to line-up outside stores around the world to be among the first to own the new iPhones. Apple enthusiast Rupert Legallias in London lined up for hours, as he did for previous launches for the iPhone 5S and iPhone 6, but he said this event was disorganized and his model sold out before he could get it. "There was only 120 people in front of me in the [line]. Their stock level must have been non-existent," he said. "It's just a disappointment." People who pre-ordered online will also start receiving their devices in the mail on Friday. Pre-orders for the iPhone X started early Tuesday morning. But within 15 minutes, the main Apple site in the U.S. ran out of devices that would ship on November 3. The wait times for online sales have jumped several weeks. To celebrate the iPhone's 10th anniversary, Apple included a number of major changes to the iPhone X. The screen takes up more space on the device, and replaces the Home button with face-detection technology. Early customers celebrate their iPhone X purchases. But those features don't come cheap. The iPhone X starts at $999 in the U.S. and significantly more in many other countries. Apple has tried something new this year, launching two different iPhone models six weeks apart. The iPhone 8 and 8 Plus went on sale September 21, but excitement was tepid outside Apple Stores compared to previous releases. Fewer people appeared to line up in person for that device, which cost hundreds less than the iPhone X. The iPhone 8 devices are more traditional than the X. They added wireless charging, better cameras, and faster processors, but nothing as thrilling and futuristic as an animated poop emoji. In Hong Kong, the iPhone X sells at a premium price, starting at 8,588 Hong Kong dollars ($1,100). 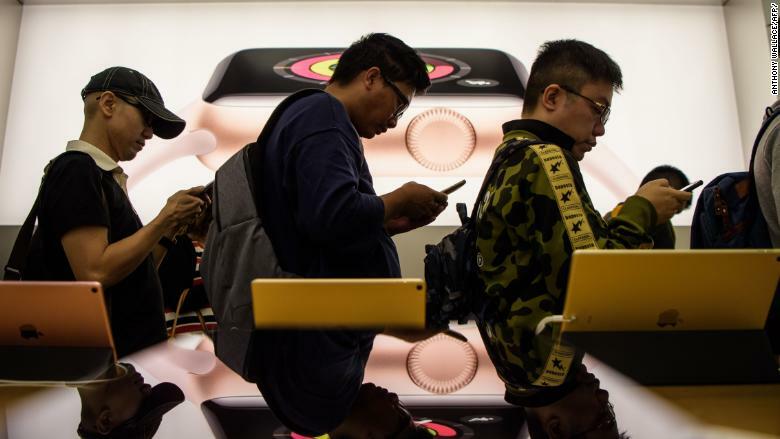 But most people buying the latest model at a store in the city's main shopping district on Friday were Apple loyalists, willing to pony up the extra cash. Customers line up at an Apple store to buy the iPhone X in Hong Kong. "The phone is worth the price. I've always been an iPhone user. 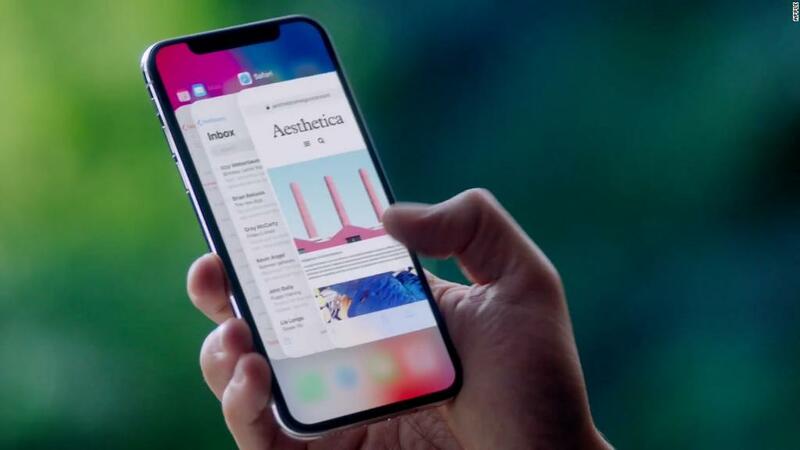 I really like how the new iPhone X looks with the all-screen design," said KC Wong, a secretary in her 40s. Several shoppers CNNMoney spoke with in Hong Kong were excited about being able to unlock their new phone with their face, but some were concerned about privacy. "Even if Apple says it's secure, you never know if an accidental glance on the phone would unlock certain things on your phone. There are still privacy risks," said 27-year-old Leo Ko. But those concerns didn't stop him from buying the device. Though the company has not released any sales figures yet, Apple CEO Tim Cook said on an earnings call Thursday that pre-orders for the iPhone X have been "very strong." He cited early reports of lines forming outside its stores ahead of the launch. iPhone sales grew 3% in the most recent quarter, with 46.7 million iPhones sold in the three-month period ending September 30. The company said it expects sales for the upcoming holiday quarter to hit between $84 billion and $87 billion.